If you’re a first time player at a live casino the first thing you’re going to want to know is if they’re safe places to play. Even if it’s not at the start as the years go on you may end up spending(and winning) a lot of money at these places and so you want to know your money is both safe and in well meaning hands. 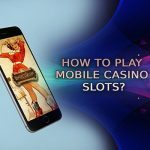 There’s a lot of security nowadays when it comes to online, mobile, and live casinos which help keep everyone safe and while we obviously can’t go into detail about exactly how they do that as 1. It’s quite a complicated process, and 2. It would take a long time; what we can do is let you understand the methods that go behind keeping everything from your personal details to your actual cash safe and how you can tell if a site is to be trusted or not. There’s only one thing you have to do in order to make sure you’re playing at a safe live casino and that’s to look for the site’s gambling license. All sites will proudly display their gambling license at the bottom of their homepage and all you need to do is scroll down and find it. There are two reasons why finding the license is all you need to do to know for sure if you’re safe and this first of those is that these are incredibly difficult things to obtain and if someone has one you know they’ve met a very demanding criteria. The second is that these can’t really be faked and so they’re not something you’ll see unofficial websites displaying on their site. Nowadays you’ll probably never run into a dodgy site anymore because security is so tight and the government is excellent at shutting down operations before they even begin so a quick check of the license is all you’ll ever need. Now let us go on to describe exactly what it is that’s required of a site to get a gambling license, and a UK gambling license in particular which is what you need in order to offer games to players in the UK which come courtesy of the UK gambling commission. When an application is made to the UK gambling commission for a license they start out by first looking at the person who made the application. Things such as passports and driving licenses must be shown and analysed to make sure the person who’s making the application is exactly who they say they are. If they’re happy with that they’ll then go on to look into that person’s history making sure they have no criminal record as this would be an instant fail. After this they’ll review the applicant’s financial situation as the person running the show must be able to afford all aspects of the live casino from running it, to paying the staff, to paying out on jackpot wins. Finally they’ll take a look at the experience this person has in the casino industry to make sure they know exactly what they’re doing and how to run a casino. This is all that’s required of the applicant however it’s only the start for the casino itself. The first test done here is to search through every bit of coding the site has in place starting off by looking for any bugs in the software as they don’t want players running into any glitches and then they’ll follow that up by making sure the applicant or programmers haven’t added anything they shouldn’t have to the site. This can be quite a lengthy back and forth process and can even sometimes take months to get through so you can be rest assured the gambling commission take this very seriously! 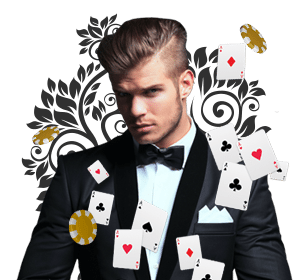 If everything with the casino so far is above board the UK gambling commission will then turn their attention to the games and promotions that are being offered up by the site. Here the commission will be checking that no one person has a bigger advantage or disadvantage than anyone else and so that means looking at their random number generators and coding to make sure it’s all good. After this they’ll then go on to look at the promotions the site itself is running to make sure they’re both honourable and fair. 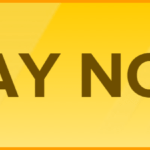 When you’re offered things such as a matching deposit bonus with a site there’s obviously going to be a bit of a playing requirement in place otherwise players would just make a massive deposit and run away with the extra cash. The UK gambling commission want to make sure that live casinos are creating these playing requirements for a reasonable length of time that is both fair for the live casino and the player as well as that each person is getting a good deal. And with that done the final thing the commission has to check are the business finances and mainly just that the player funds and the business funds are kept in two separate accounts and that the live casino can’t be spending the players money to fund their business or personal spending habits. With this final check completed the UK gambling commission can then go on to happily grant the applicant and their live casino a gambling license. There is a catch though, these licenses are not a lifetime deal, and in fact are more similar to a lease for just a year at which point they must reapply for their license and have the commission perform similar checks once again. Furthermore the UK gambling commission can also come in at any point for random spot checks to insure standards are being kept high and to make sure casinos don’t let their standards slip away as the year goes on. 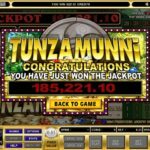 This is why you know that if a live casino is proudly displaying a gambling license from the UK gambling commission that they’re an incredibly trustworthy source as the people running the show have both the means and the experience to do so, and the site itself has met all safety checks from the coding to the promotions!